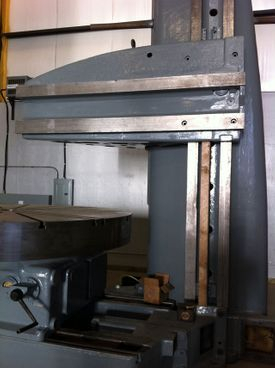 56” BULLARD Rebuilt and retrofitted 1982/2009. 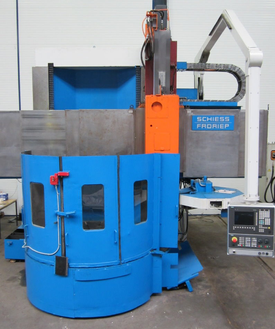 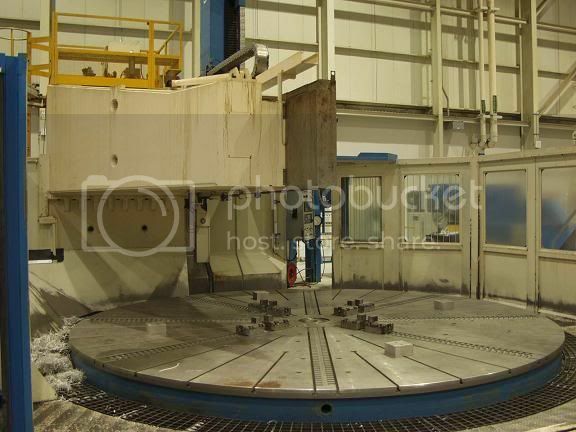 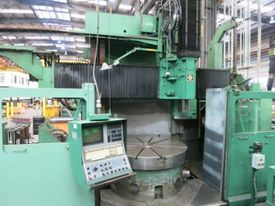 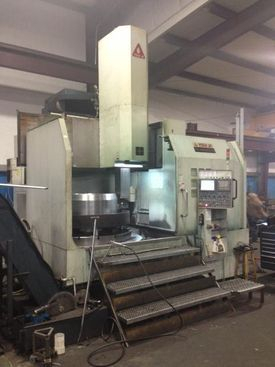 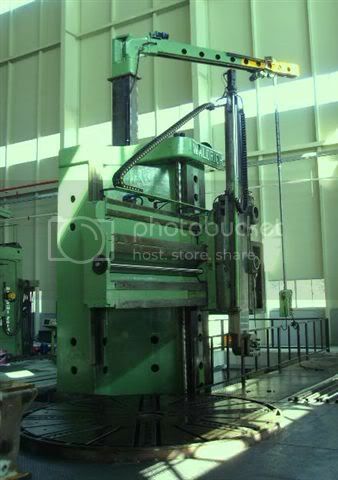 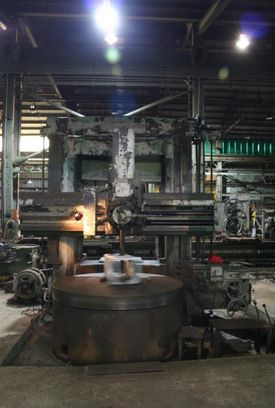 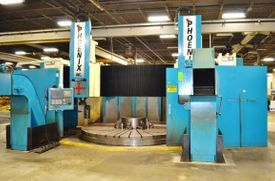 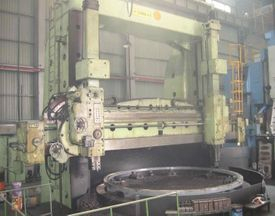 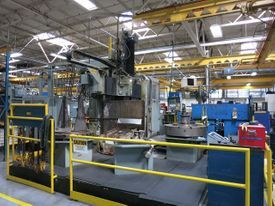 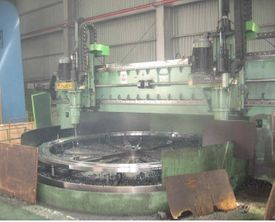 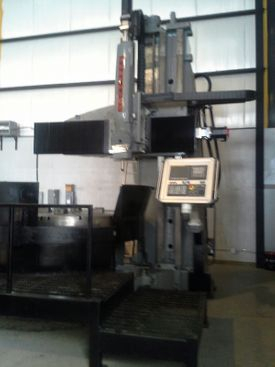 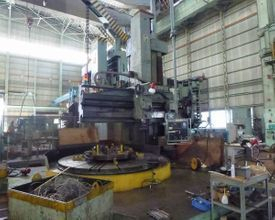 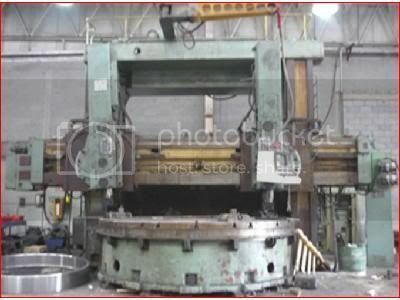 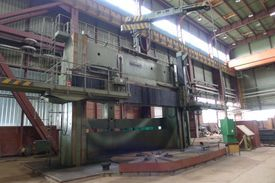 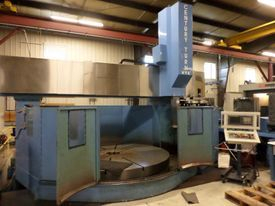 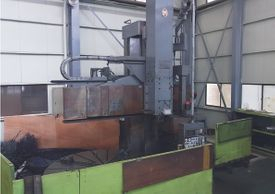 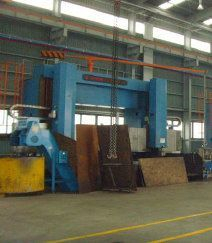 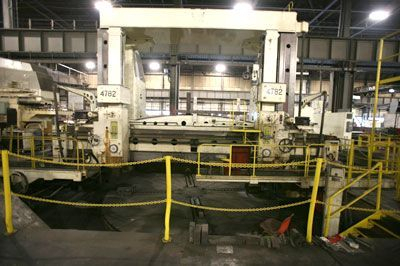 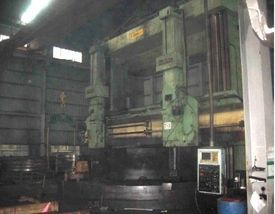 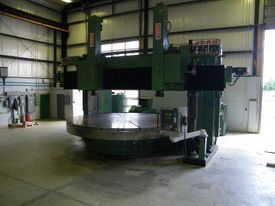 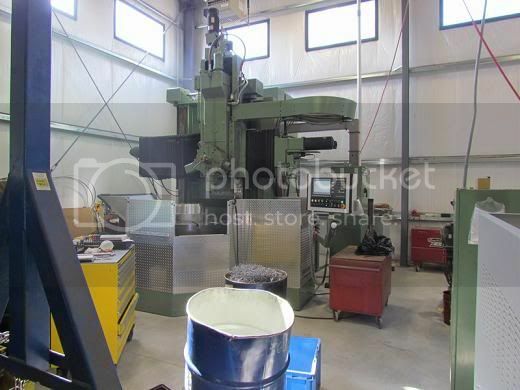 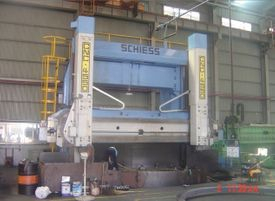 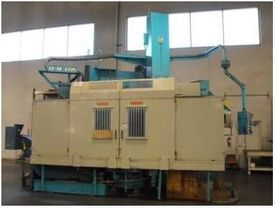 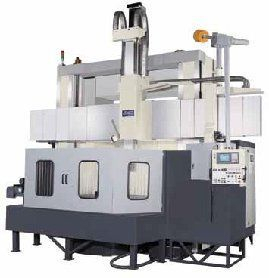 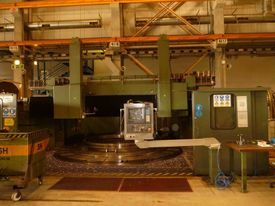 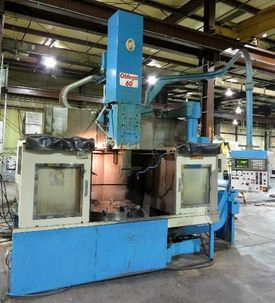 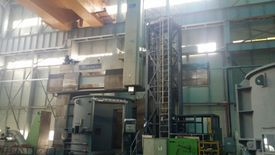 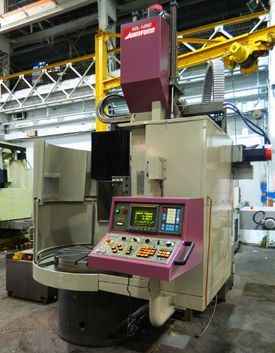 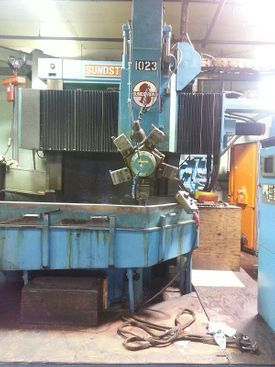 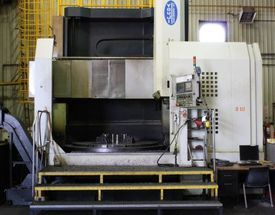 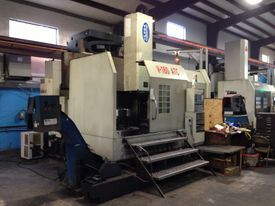 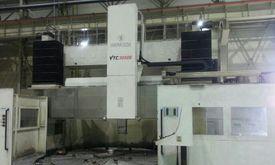 MAXIMUM HEIGHT OF WORKPIECE 192"
RAM CROSS SECTION, OCTAGONAL 13.75"
FLOOR SPACE 670" X 393"
Details of the machine from the manual follows as below. 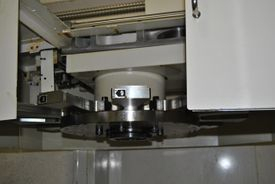 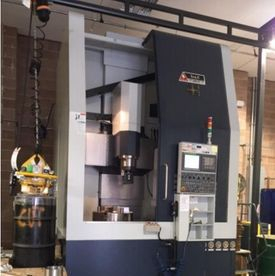 Maximum Height Ram to Table Surface 53.14"
Vertical Travel of Ram 31.49"
Horizontal Travel of Ram Head -31.7"/+44.09"
Cross Rail Vertical Travel 19.68"
X and Z-Axis Feed Rates .0039-78.74"
Ram Cross Section 8.66" x 8.66"
Floor Space 313" x 288"
Cutting Feed Rate: 3000 mm/min. 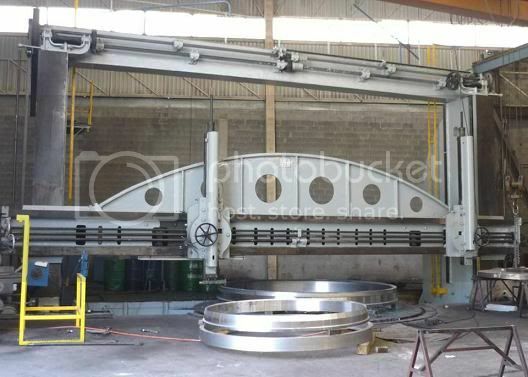 Rapid Feed Rate: 10000 mm/min. 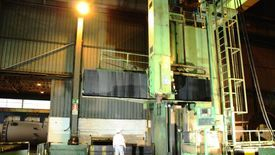 Distance between the columns ................................................. 204-3/4"
6-TABLE EXTENSION BLOCKS FOR 25' JOB. 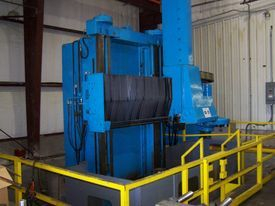 - CROSS RAIL HEAD ARRANGED TO SWIVEL 40 DEGREES OUTWARD AND 10 DEGREES INWARD. 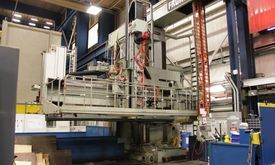 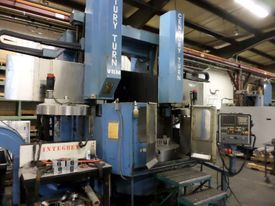 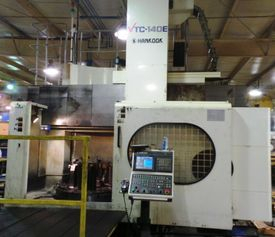 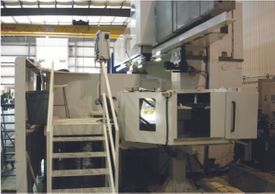 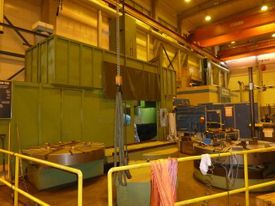 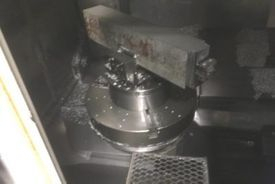 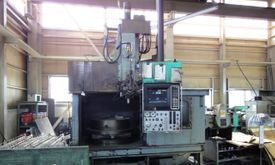 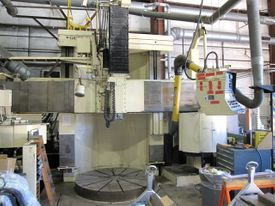 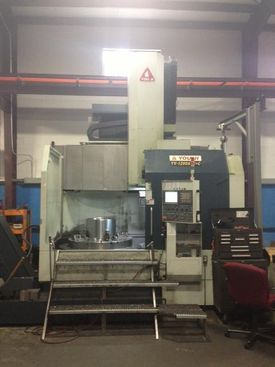 - CLAMPING TOOLINGS AND MISCELLANEOUS TOOLINGS. 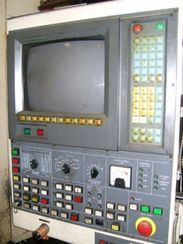 - COMPLETE ELECTRIC REDONE IN 1994. 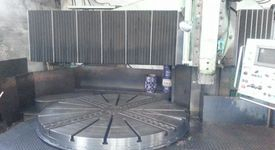 - WAYS WERE RESCRAPED AND NEW SCREW FOR THE RAM INSTALLED - ALL DONE IN 2011. 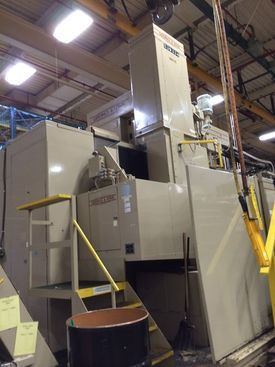 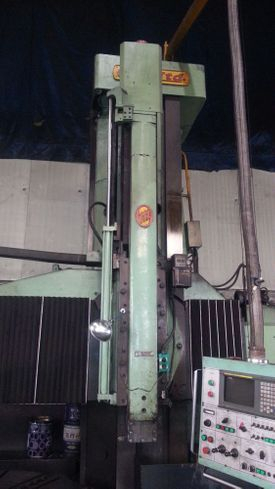 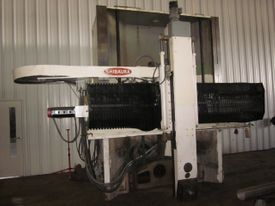 -GROUND LEVEL TO PIT FLOOR LEVEL: 8'6"
PRICE: EX WORK – INSPECT UNDER POWER!!! 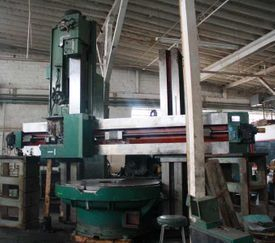 Maximum turning height under rail/tool: 56"
Maximum ram travel (Z-axis): 39.4"
Maximum saddle travel (X-axis) 56"
Ram size: 8.25" x 8.25"